Regardless of your credit history, Kris Auto Sales can help you get the auto financing you need!Please take a moment to fill out the secure online credit application. What to bring: Last 2 paystubs or last 2 months bank statements (proof of income). Utility/phone bill or bank statement (proof of residence). 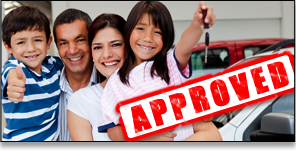 Fill out our secure online credit application and find out how easy it is to get approved at Kris Auto Sales. Do you have bad credit or no credit and think you can't get financed? Think again! We help people get financed just like you every day. Have questions or need assistance? Don't hesitate, contact us today - we're here to help you. Bankruptcy - Piece of Cake! Good credit - Let us try to match the best rate!